Lynden Transport Delivers America’s Christmas Tree - Excellent Cultures Inc.
At Excellent Cultures, we are privileged to serve some great companies like Lynden Transport. We’re so pleased to have been chosen to help them transform their Good Culture into a Great Culture. Lynden Transport is an Alaska-based company with roots that run deep in the state. More than 60 years ago, Lynden Transport trucks began rolling on the Alaska Highway to make the first scheduled commercial deliveries to Alaska. The highway opened new frontiers for Alaskans, who, for the first time, could depend on affordable truck delivery of groceries and other supplies instead of relying on air or water. Lynden Transport is privileged to be a part of a national holiday celebration that also recognizes the great state of Alaska and its pristine forests. With great honor, the Capitol Christmas Tree will be delivered by a legendary Lynden Transport driver, John Schank. 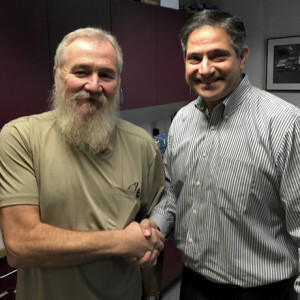 Hero Driver John Schank (Resembling a buff Santa) with Lynden Transport President Paul Grimaldi. 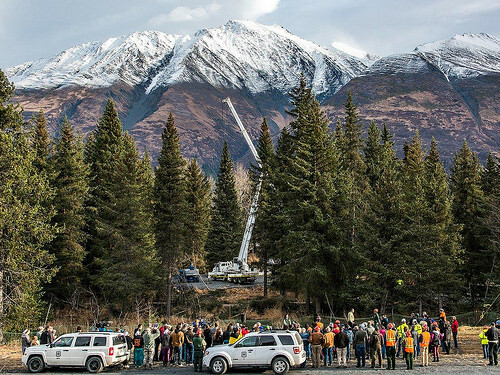 When selecting the driver to represent Alaska and deliver the tree, it was immediately apparent that it should be John. He has been driving for Lynden Transport for over 40 years and has logged over 5 MILLION miles and 38 years accident-free on America’s most treacherous road — Alaska’s Dalton Highway linking Fairbanks to Prudhoe Bay. That’s more than any other driver in history. John is one of the real “Ice Road Truckers.” In 2014, the Alaska Trucking Association named John “Driver of the Year,” and he received a commendation from them, but to his fellow employees and friends, he is known as an Everyday Hero. Just as all safe and professional truck drivers do, John does his job every day without a lot of sparkle and flash. Starting last week when the tree was cut, and for the next few weeks, he’s right there in the middle of the sparkle. Going from town to town delivering the national Christmas tree to be finally lit up on December 2nd in Washington, D.C. You can actually follow the journey of the tree to the Capitol HERE. So now you know why there is no one better to transport the national Christmas tree than our own John Schank. He is doing a great job – just as he does every day, he drives for Lynden Transport. America, this is your driver, this is your tree!